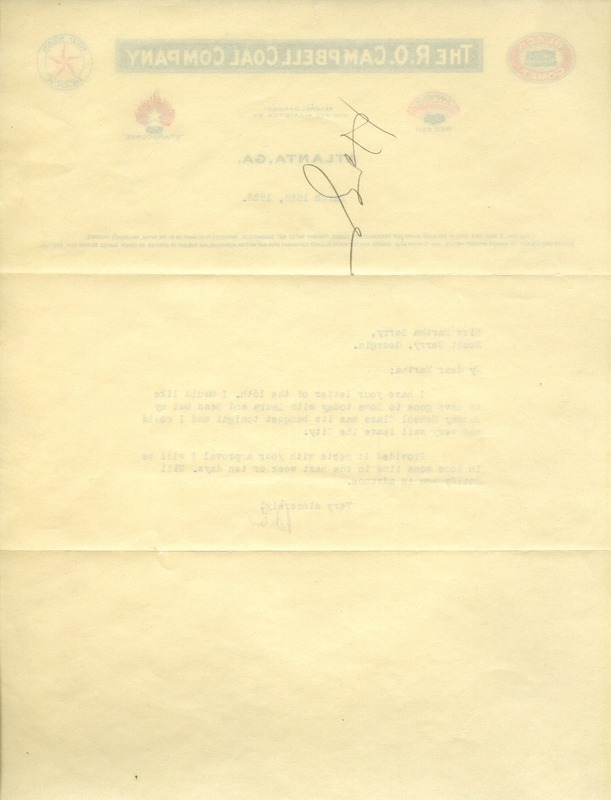 This is a letter to Martha Berry from J. Bulow Campbell regarding his plan to visit Rome in the coming week. 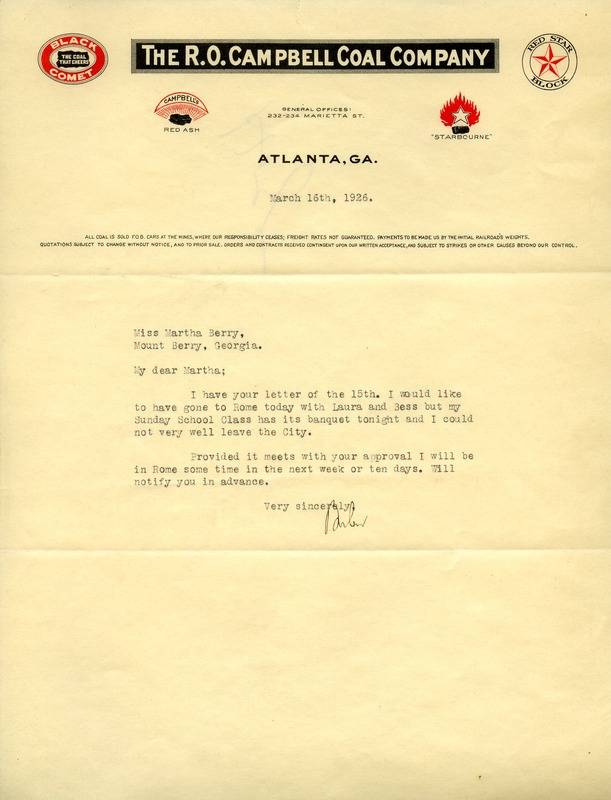 Mr. J. Bulow Campbell, “Letter to Martha Berry from J. Bulow Campbell.” Martha Berry Digital Archive. Eds. Schlitz, Stephanie A., Christy Snider, Abigail Carson, et al. Mount Berry: Berry College, 2011. accessed April 22, 2019, https://mbda.berry.edu/items/show/1019.